"I have never before dealt with a professional who interviewed me so comprehensively. She did so in order to clarify my thinking on my website project, and to help me to help her to create what I really wanted. She took a poorly designed and not very functional site to one that pleases me very much and has the foundation in place to go wherever I want it to go, not to mention showing up in search engines very well!" "I find Jena a real joy to work with, as she is mature and grounded, as well as up-to-date in her thinking and skills. I don’t hesitate to recommend her, and I think you will also find her product as satisfying as I have. Please feel free to call me if you have any questions." 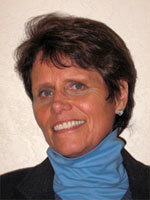 I'm Jena Lassiter and the owner of Community Growth Web. I started this business in 2008 after working in the Corporate World for 30 years. After working in a technical company developing products for people that I never knew, I decided that I wanted to get closer to real customers and help them help others; that is, get their products and services to the people who want to find them. The web is also an extremely exciting place to be right now because so much is changing and there are so many technical directions to go. My technical background has done a good job at giving me confidence to continuously develop my skills so that I can continue to provide my clients with many different options. My experience and studies in website development include website design, search engine optimization, copywriting and digital video production. I have a passion for learning so my experience has included many different areas: Defining and designing user interfaces for cell phone testers, developing quality processes that could be used across multiple divisions of the company, developing scheduling and tracking processes for different departments that I managed, and writing technical manuals and user guides. My interest in the potential of individual creativity and team synergy took me into areas of team process facilitation and consulting. I know how to listen and draw out the best ideas of individuals and teams. 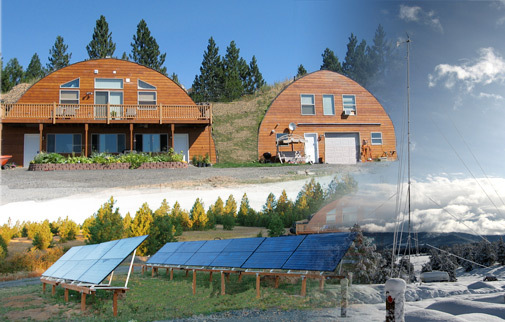 I also live in an earth sheltered home that is powered with solar and wind. Here's a place you can see an article in the local paper written about this project. All web development is done using the batteries that store the home-generated power. With 40 solar panels installed, there are 5 kilowatts (kW) of power generating capacity. The wind generator makes about 1 kW when the wind is at 22 mph so helps out in the Spring and Fall. If the sun isn't shining or the wind isn't blowing, the backup propane generator ensures the house is powered as needed. Contact me or download a more detailed resume. Community Growth Web offers web design services and is based in the Coeur d'Alene, Idaho and Spokane, Washington areas. The company provides a wide variety of services related to presenting a business or a non-profit organization on the world wide web. The goal of Community Growth Web is to enable organizations to become more successful via a very strong presence on the web, build websites that delight their audience and are positioned for high search engine ranking, and help companies write effective copy so that targeted users will decide to use their services. When I listen to what you want and translate that idea into the technical possibilities that you can understand, you'll be best able to make the choices most appropriate for your business. I use prototyping tools to let you validate that I understand what you want to create before too much time is spent in a direction that doesn't meet your needs. Whenever a website is created for you, you own the domain name and can have access to the code at any time. If you want to make changes to the website, I can make them for you or give you access to a content management system that will make editing your website seem like using a word processor. I check with you during the process of building your website and during maintenance to ensure that your needs are being met. If you need emergency changes, I will work to meet your schedule. Also, if for any reason you want to transfer your website to another webmaster, it is easy to make that change. All websites from Community Growth Web are built using Cascading Style Sheets (CSS) which are a common standard used to allow global changes to made quickly and which makes it easy for other professionals to take over if needed. Testing using multiple browsers ensures that users will see what you intend. Currently, market share for Internet Explorer is at about 60%, Firefox is at 25%, Google Chrome is at around 7% and Apple's Safari is at about 5%. Testing is done on IE, Firefox and Chrome on the Windows platform and on Firefox, Chrome and Safari on the Mac platform. Testing is also done on a few handheld devices. When a website takes too long to load, visitors will sometimes abandon the website. Even though most users have high-speed internet, file size needs to be paid attention to. Images and videos are optimized to ensure that websites load acceptably given the content that you want to have on your site.